About 90% of the things we see around us from mobiles to cars, from our household crystals to computers; practically everything is manufactured based on regulations, specifications, safety standards coming from the European Union. and, data protection, the protection of the environment and biodiversity, the control of migration flows, to state just a few, are all regulated from at the EU level. Furthermore small countries such as Greece, Belgium etc are in a position to participate in meaningful free trade agreements with the US, Canada, China and the like only because the EU puts behind them both its economic weight and its negotiation skills. There is definitely a reason behind the fact that an important country with an imperial past and a robust public administration, such as the United Kingdom, faces tremendous difficulties in leaving the EU. 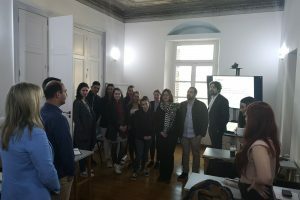 The mission of the European Law & Governance School (ELGS) is precisely to spread the knowledge about the significance of the EU to the world. The EU generates obligations but also provides opportunities. 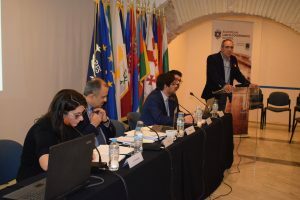 It is the objective of ELGS to offer the necessary knowledge and understanding behind the decisions made in the EU, the regulations adopted, the programs and funding available. It is important to understand how to implement the rules, but also how and whether one can change, override or adapt them. This requires educating professionals with a solid knowledge of EU law and governance, who can react in a globalized environment. The ELGS offers the broad knowledge needed as opposed to stereotyping, and misinterpretations. Europe-related careers are not restricted to a handful of jobs related to the core EU Institutions based in Brussels, Strasbourg and Luxembourg. There is a plentiful of EU Agencies all around Europe, while most national ministries, municipalities and even major undertakings, do have “European” departments. In every economic sector – such as the ones mentioned above – the use of EU rules, standards and procedures is ubiquitous while, at the same time, lobbying the EU Institutions is an increasingly important process. 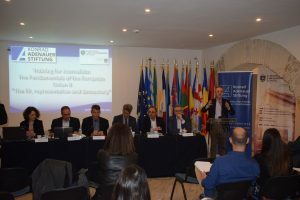 Most NGOs do work with the EU, research centers and Universities compete for its funding, while major investment initiatives, especially in the area of biotechnology and artificial intelligence, are sponsored by it. Therefore, European careers exist both in the public and the private sector, at the EU Headquarters, in the national capitals and elsewhere. One need to understand how the EU operates and what the opportunities are, in order to be able to effectively operate in this transnational environment. This is the task of the ELGS. Author: Vassilis Hatzopoulos, Professor of EU Law and Policies, ELGS, Panteion University, Athens, Greece. Visiting Professor at the College of Europe, Bruges, Belgium. Honorary Asst Professor at the University of Nottingham, UK. Barrister, of the Athens Bar.